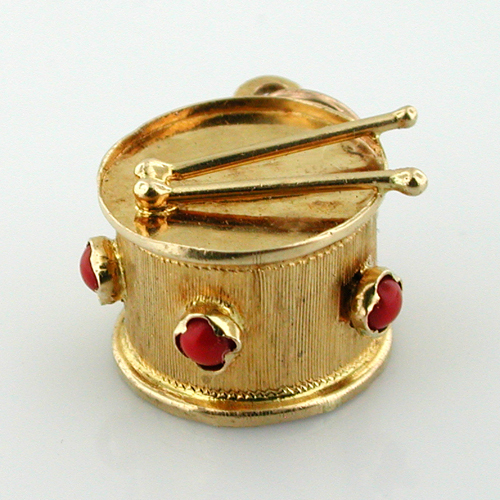 This is an absolutely wonderful 3D figural vintage 18K gold DRUM charm. 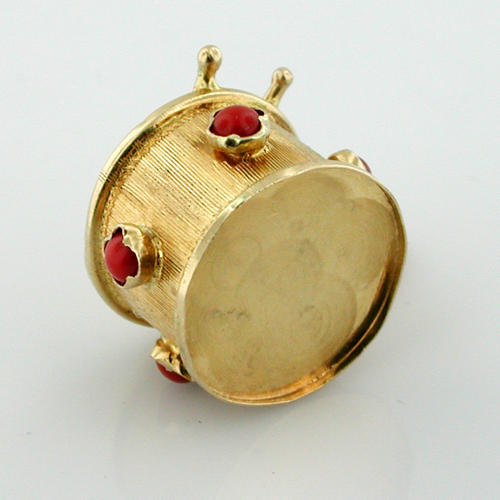 Enhanced by five 3mm coral cabochons. 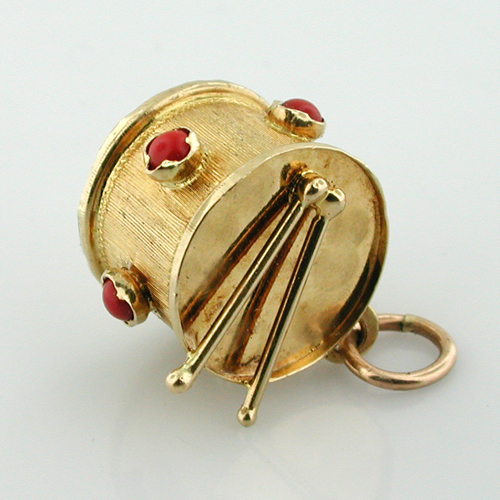 Measures 11/16" (17.5mm) in diameter. 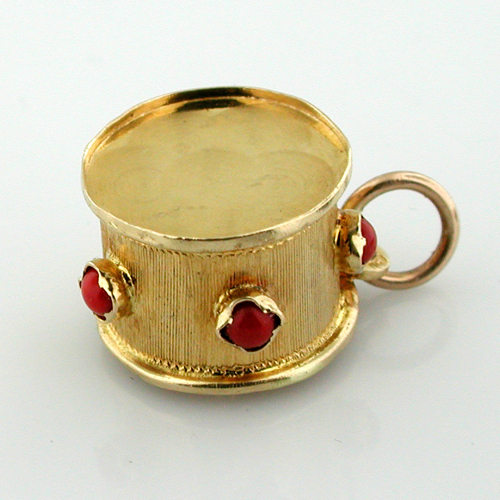 Total weight of the charm is 4.6 grams. 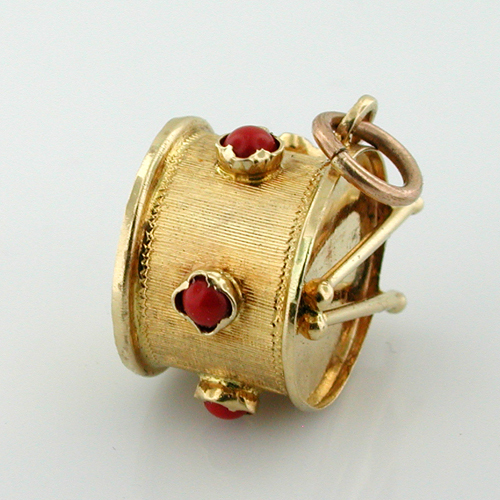 Marked 750 on the loop, tested and guaranteed to be 18k gold. It is in excellent condition.